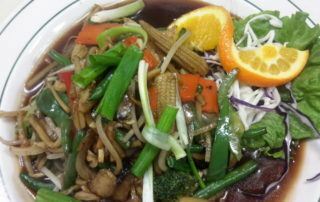 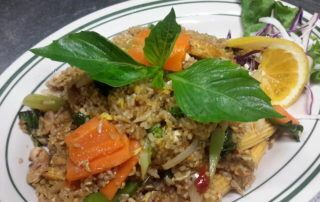 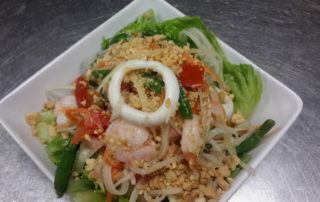 Suwana’s Thai Orchid offers authentic Thai cuisine along with great service and an attentive staff. 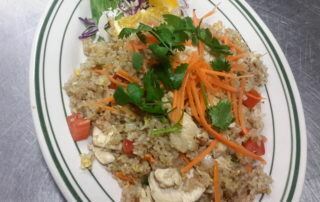 As Asheville’s Authentic Thai Restaurant, Suwana’s Thai Orchid is a unique dining option. 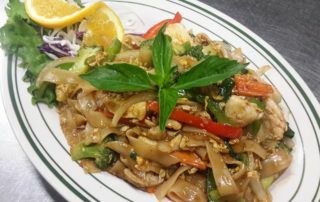 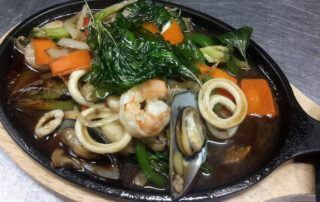 With the combination of authentic cooking styles, the freshest ingredients, and an unparalleled background in Thai cuisine, Asheville’s Thai Restaurant offers a unique and fresh take on Thai cuisine. 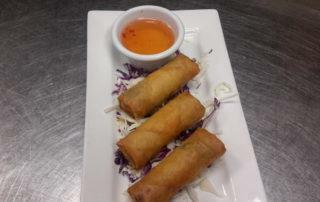 Head Chef, Suwana Cry, has been a restaurateur and chef for many years and in many locations. 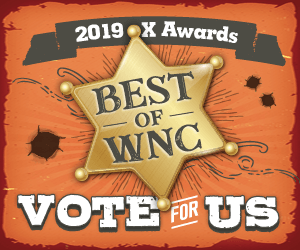 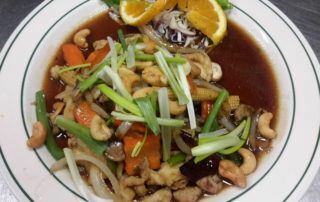 From the three restaurants she had in Louisiana, and now Asheville, Suwana Cry brings Western North Carolina the authentic Thai flavor to great acclaim. 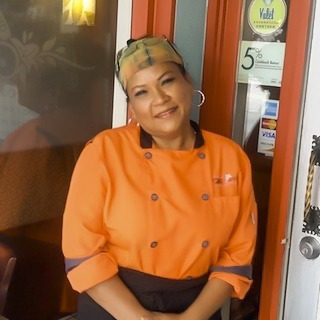 After a love for cuisine and for culinary creation, Suwana Cry found her calling as a restaurateur and chef. 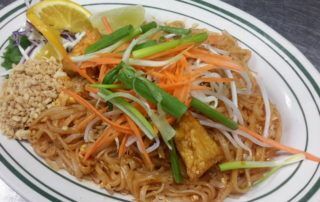 Her talents stem from here ability to fuse high-quality ingredients from various other ethnic cuisines into the warm, smooth, and savory flavors of Thailand. 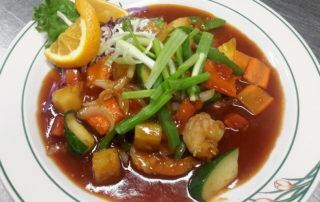 A mixture of attention to detail, unparalleled dedication, and a balance of spicy, sweet, and sour. 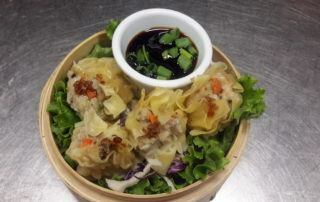 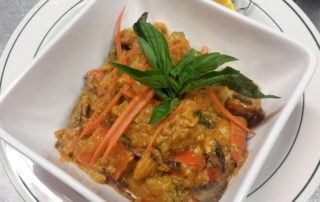 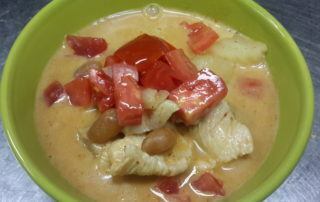 – Suwana’s Thai Orchid will give you a culinary experience unlike any other. 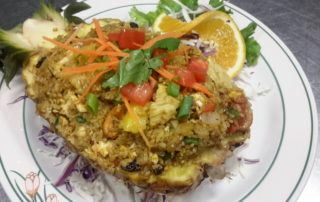 Ground chicken salad with chili lime dressing, peanut, fresh ginger, onion, carrot & cilantro.